As a means of offsetting the disastrous effects of droughts, the concept of diverting water from some of Australia’s best-known rivers – the Murray, Murrumbidgee, Snowy and Tumut Rivers – dates back as far as the 1880s. However, it was not until 1944 that a committee of Commonwealth and State representatives was formed to examine, from a broad, national viewpoint, the development of the water resources of the Snowy Mountains area. On July 7 1949, the Commonwealth Parliament passed The Snowy Mountains Hydro-electric Power Act 1949 (the Act), which established the Snowy Mountains Hydro-electric Authority, the operating body of the Snowy Mountains Scheme. 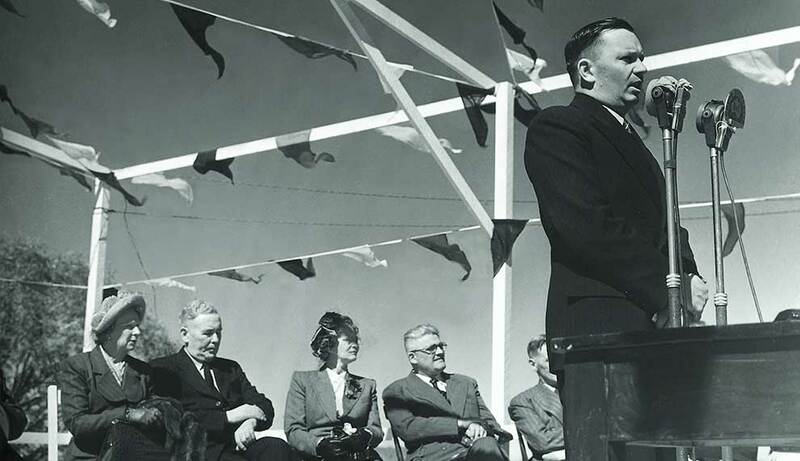 Construction started on the Scheme on 17 October 1949, when the Governor-General, Sir William McKell, Prime Minister Ben Chifley and William Hudson fired the first blast at Adaminaby. Construction was completed in 1974, for a total historical cost (funded by Commonwealth Government advances) of $820 million. 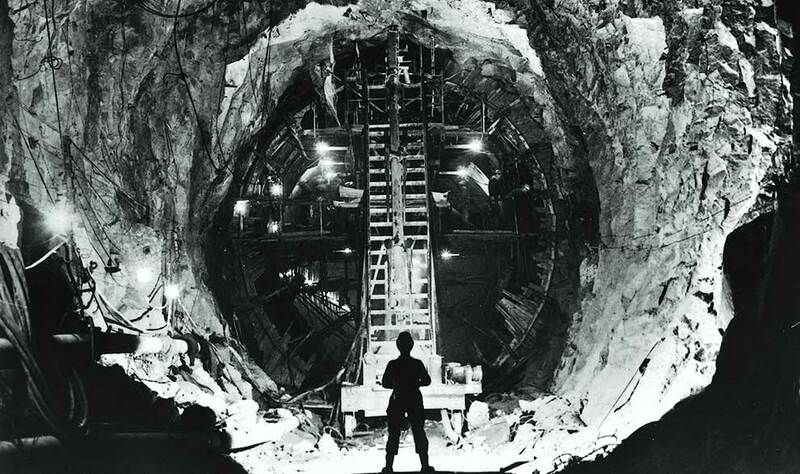 On completion in 1974, the Scheme consisted of seven power stations, 16 major dams, 145 kilometres of inter-connected tunnels and 80 kilometres of aqueducts. In 1997 a new company, Snowy Hydro Trading Pty Ltd (SHTPL), was established by the New South Wales Government and the State Electricity Commission of Victoria, as a joint venture to trade electricity generated by the Snowy Mountains Scheme in the National Electricity Market. SHTPL acted as an agent for the Scheme’s electricity entitlement holders and was the registered generator in respect of the Authority’s generation capabilities. The Commonwealth formally joined SHTPL as a shareholder in February 2000. On June 28 2002 the Snowy Mountains Hydro-electric Authority was corporatised. This resulted in the merger of the Authority and SHTPL to become Snowy Hydro Limited. Built in the national interest with the support of the New South Wales, Victorian, South Australian and Commonwealth Governments, the Scheme today provides electricity to the National Electricity Market and much needed drought security to Australia’s dry inland. Snowy Hydro Limited operates and maintains the Snowy Mountains Scheme, recognised as one of the modern civil engineering wonders of the world.